How many times have you been put off by the tedious and time consuming task of carpet cleaning? Or even worse, how many times have you hovered your carpets and noticed that there are still dirt stains on them? 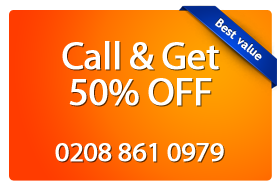 Magic London Carpet Cleaning in East Ham E6 provides the best solution for cleaning the carpets that have been used for a while and need a thorough clean.Just Call on 0208 861 0979 for more information and price estimate. Why Choose Us in East Ham? We use the most environmentally friendly and biodegradable products to create a clean and safe home environment for our customers. Regular carpet cleaning will help you preserve the fibers of your carpet, prolong its life and maintain higher air quality. With the help of our highly specialized and professional carpet cleaners in East Ham E6, not only will we bring you all the required equipment, but also a vast experience in carpet cleaning to help you have germ free and great looking carpets. Our customer support lines are always open. You can ask our assistants anything about our services. If you need to use our exceptional carpet cleaning services, please contact us now at 0208 861 0979 or user our booking form below!